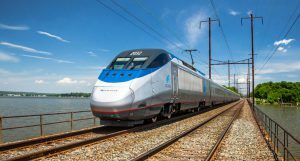 The Mid-Ohio Regional Planning Commission (MORPC) has announced that AECOM and WSP USA will act as the lead consultants on the feasibility and environmental impact studies of MORPC’s Rapid-Speed Transportation Initiative (RSTI). 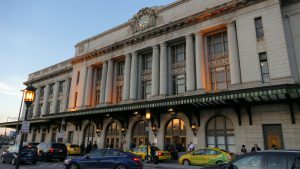 Officials said the initiative will explore intercity routes that could use two rapid-speed transportation technology options — traditional passenger rail and Virgin Hyperloop One technology — linking Chicago, Columbus and Pittsburgh. The launch of the two studies is believed to be the first such action in the world intended to initiate both a feasibility study and environmental impact study regarding the use of Hyperloop technology. 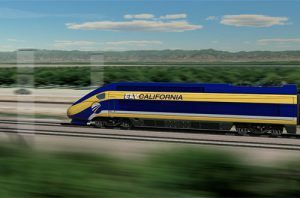 AECOM will conduct the feasibility study of Hyperloop technology for the corridor. The study will include visioning and technology application, route planning, transportation demand and economic benefit analysis, regulatory framework and implementation strategy, project management, as well as stakeholder and public engagement, officials said. Additionally, the study will evaluate two potential route alignments. One option follows the rail corridor featured in the Hyperloop One Global Challenge Midwest Connect corridor proposal, and the other would be an alternative option to be defined by the study. The potential routes will include the following cities: Chicago, Fort Wayne, Lima, Marysville, Columbus and Pittsburgh, and officials say more communities could be added. The study is currently set for completion by March 2019. WSP USA will conduct Tier One of the environmental impact study (EIS) of the corridor. This segment of the study will aggregate data, document existing conditions, prepare a purpose and need statement, provide route alternatives and service alternatives for proposed routes, evaluate infrastructure investments and coordinate public involvement. This step will also entail work for the corridor portion between Chicago, Ft. Wayne and Lima that is currently underway by the Indiana corridor partners that includes the city of Ft. Wayne in collaboration with the Northeast Indiana Passenger Rail Association. The EIS is expected to wrap up in July 2019. WSP also plans to work with AECOM on the feasibility study. The two firms will partner with Lawhon & Associates, an environmental engineering firm, and Engage Public Affairs, for strategic communications assistance. Midwest Connect, spearheaded by MORPC and other regional partners, was one of 10 winners worldwide of the Virgin Hyperloop One Global Challenge. The route analysis included the only route selected in the U.S. to cross four states: Pennsylvania, Ohio, Indiana and Illinois, officials noted. It is also the first in the U.S. to focus on leveraging major freight assets throughout the Midwest region. Virgin Hyperloop One, sponsors of the global challenge, is the sole company worldwide with a fully operational Hyperloop system. 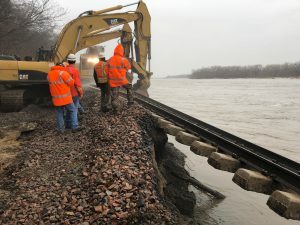 Several partners have committed financial resources to the initiative so far, including the cities of Columbus, Marysville and Lima; Ohio and Indiana rail partners including MORPC and Union County. Additional support is anticipated from other public and private partners, officials said.